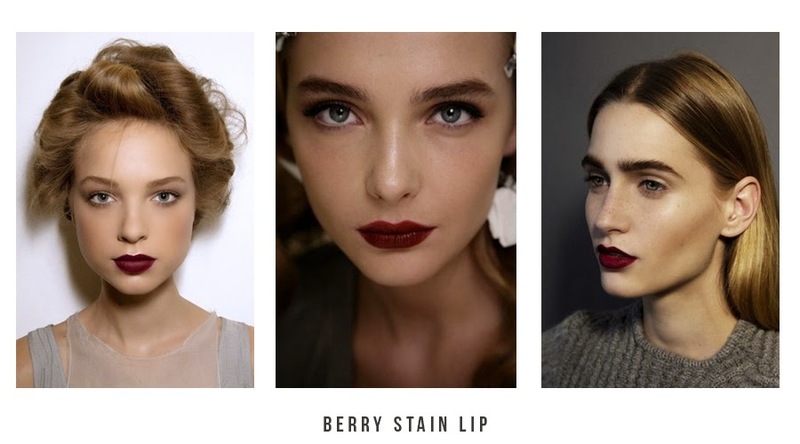 This autumn, I don't think we can get enough of this vampy lip with defined brows and simple eye make up. To achieve this look simply wear a matte or dewy foundation then powder if you wish to. Define those brows with your pencil or powder its totally up to you. Give blush a miss and contour those cheekbones, with a hint of highlight. Add a few coats of mascara. And finally... apply that a berry colour liner, and line your lips, coat with a matching lipstick and you are good to go. perfect shade for the upcoming holiday season! I have followed you back, your blog is lovely.